Chalet Mont Tremblant is the ultimate catered ski chalet in style and design. Located in its own grounds in the heart of Meribel, this chalet is incredibly spacious and sleeps 12 guests in absolute comfort providing every conceivable facility. The entrance floor is flooded with natural light and the double height lounge has a main seating area facing an open fireplace as well as a cosy snug and separate office space, complete with Apple Mac computer. The large dining area looks out over the mountains and comes complete with your own bar for a pre or post dinner drink. The master suite occupies the entire first floor and enjoys an open fire place and magnificent views. The en-suite bathroom has a double bath and walk in rain shower big enough for two. Five further spacious double or twin en-suite bedrooms are located on the lower level, all benefitting plasma TVs and gas remote controlled fireplaces. The large cinema with surround sound is also located on the lower ground; the adjoining area with pool table and bar. Next door is the playroom with a table football, TV and Wii, ideal for entertaining all ages. The wellness area comprises a hammam, massage room and shower and opens out onto the large terrace where you can enjoy the outdoor hot tub or take a dip in the heated infinity pool with jet stream, both of which are chlorine free. 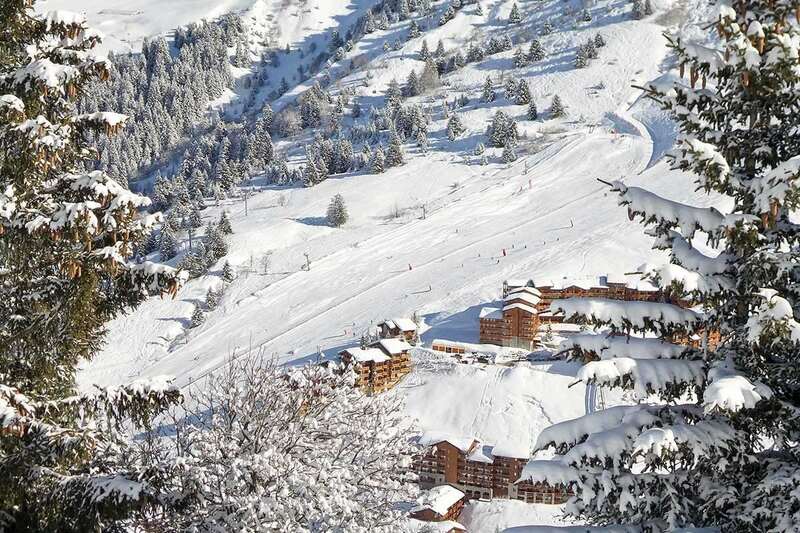 This chalet is outstanding and combined with your private team of hospitality professionals, we are confident it will exceed your expectations, whether young or old. and private balcony overlooking mountains. shower, gas fireplace and TV with Bose system. At our chalet, we have a passion for fine food and drink. We only use the finest ingredients and wherever possible, local and seasonal produce, sourced from markets and farms. We ensure that your dining experience is bespoke, rather than routine and your chef will be delighted to discuss your requirements before and during your stay. Allergies, cultural requirements, likes and dislikes are all catered for. If you want formal dining they can create gastronomic magic; if you want local specialties, classic dining or comfort food in front of the TV, they can do that too. Beauting Menu in conjunction with Perrier Jouët * additional charge. We stock a range of excellent house wines, but if you have any requests, however rare, our specialist partner Antoine Veuriot at La Cave sur Comptoir will track them down and have them ready for you when you arrive. We can also arrange a wine tasting evening in your chalet where you can try both vintage and local wines paired with canapes prepared by your chef. Of course, there is always a well-stocked bar with your favourite spirits along with chilled Perrier Jouët champagne waiting for you and your guests throughout your stay.